Home Africa	Where is Petra? Ancient, mysterious and nothing short of incredible, Petra is one of those rare destinations that needs to be seen to be believed. Featuring hand-carved structures that date back thousands of years, stunning surrounds and so much more, there’s never been a better time to encounter the beauty of this ancient city. The ancient city of Raqmu, perhaps better known by its Greek moniker, Petra, is located in southern Jordan, around three hours by car from Amman, the country’s capital. 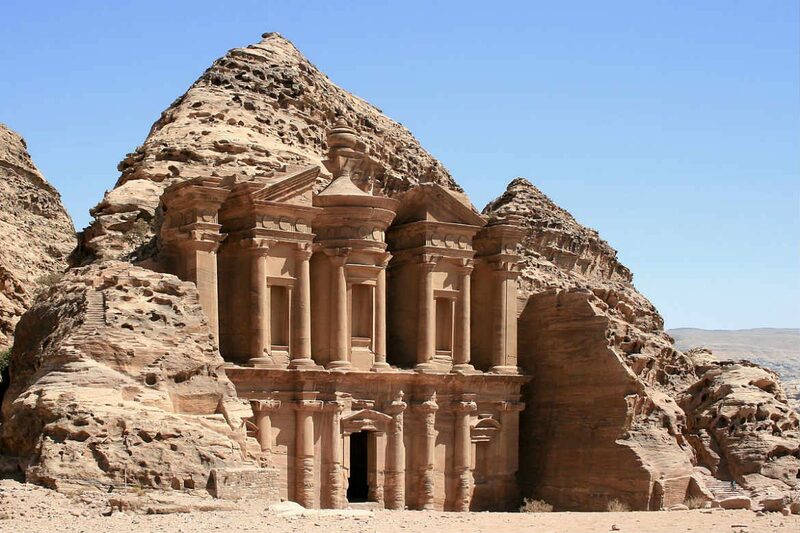 Not too far from Jordan’s western border with Israel, the spectacular city, which is thought to be one of the world’s best archaeological sites, is surrounded by an array of captivating desert canyons and mountains. With its main entrance, known as the Siq, winding its way through a narrow sandstone gorge of more than 1 km, it’s a part of the country that transports you back into antiquity. The original builders and inhabitants of Petra were the Nabataeans, a Bedouin tribe that called the region home. Although they were historically largely nomadic, the Nabataeans were a powerful force in the region, establishing a kingdom and eventually becoming an ally of the Roman Empire. The Treasury from the Siq, Petra, Jordan. Image Credit: Esin Üstün / CC by 2.0. The date of Petra’s establishment is debated among scholars, but construction of the ‘Rose City’ is generally thought to have started in the 4th or 5th century BC. In the centuries after construction began, the city was expanded and added to, with design influences coming from Greece, Rome and further afield. Combining Nabataean architecture and Greco-Roman design, and carved directly into sandstone, the city’s structures are unique, intriguing and nothing short of breathtaking. From the 1st century BC onward, the city grew rapidly, housing a population of around 20,000 and becoming a stop along the silk and spice trade routes that wound their way through Africa and on to Asia. Petra prospered until it fell under Roman rule, when trade routes changed and the city’s wealth dwindled. An earthquake in the mid-4th century added injury to insult, with the city’s water management system crippled and many of its buildings destroyed. In the next couple of hundred years, the city was abandoned and left to stand silently amongst the vast desert sands. After the city was abandoned in the 7th century, Petra stood largely untouched by the outside world for more than a thousand years. It was not until 1812, when a Swiss traveller named Johann Ludwig Burckhardt rediscovered the city, that it returned once again to the world stage. Following its rediscovery, archaeologists have flocked to the site, hoping to unearth more of its secrets and to gain an understanding of its construction, successes and subsequent downfall. With less than half of the city explored at this point in time, there’s certainly more to be learnt about this fascinating corner of the globe. The Treasury, Petra, Jordan. Image Credit: Kandukuru Nagarjun / CC by 2.0. 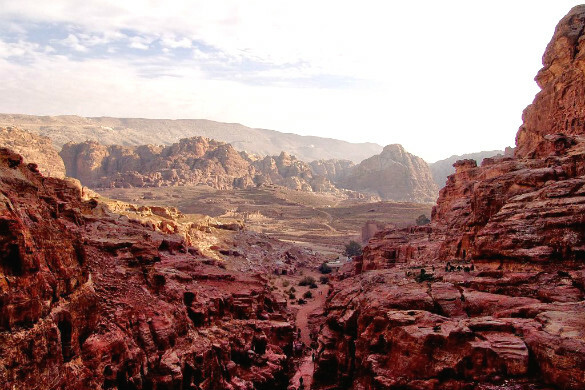 As a general rule of thumb, autumn and spring are considered to be the best times of the year to explore Petra. Offering the best weather, the seasons, which span from September to November and March to May, experience mostly fine weather during the day and cooler evenings. At the height of summer (June to August), temperatures can be scorching, while winter (December to February) can see rain, colder weather and even snow. Petra, Jordan. Image Credit: Leon Petrosyan / CC by SA 3.0. Its historical significance. World Heritage listed in late 1985, the city has stood for more than 2,000 years. The workmanship. Constructed more than 2,000 years ago, it’s hard to believe that the city was built without the aid of heavy machinery. 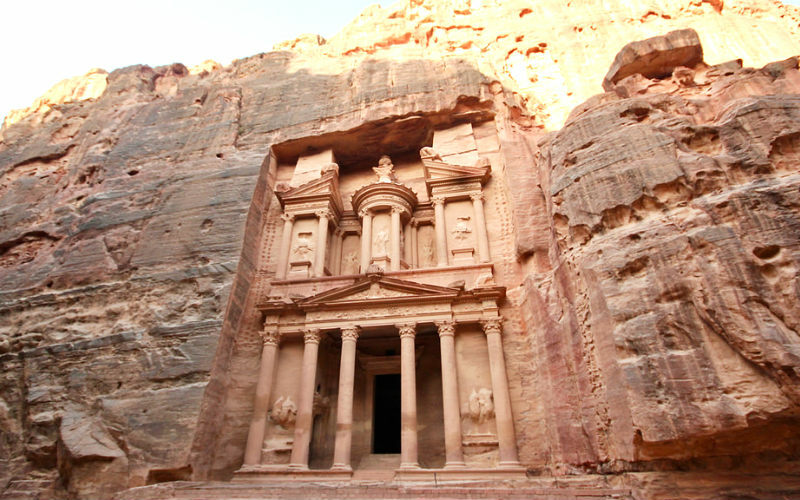 Carved by hand by skilled tradesmen, Petra is ornate, awe-inspiring and incredibly grand in scale. The mystery. With so much of the site still unexplored, there’s no saying what will be found in Petra next, from unknown structures through to remnants of day to day life left behind the city’s former inhabitants. There’s so much to see. Covering an area close to four times the size of Manhattan, the city, although not as large as some modern capitals, is quite expansive. Although you may see some highlights during a day trip, there’s so much to see and discover across the site. The scenery is beautiful. Bordered by towering sandstone cliffs, rocky outcrops and some spectacular peaks, not only is the city an incredible sight to behold, but so is the scenery that surrounds it. 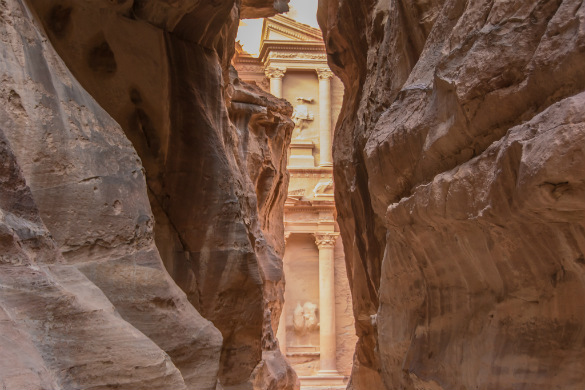 Want to discover the beauty and history of Petra firsthand? Secure your place on a Middle East tour from Webjet Exclusives today! Feature Image Credit: Diego Delso / CC by SA 4.0.